Colombia is a wonderful, amazing country. For a variety of reasons, including that the predominant walling material is fired clay in all of its forms, such as horizontally perforated hollow blocks, partition blocks, hourdis and ceiling blocks, vertically perforated load-bearing blocks and high quality facing bricks, pavers and klinkers, both extruded and dry-pressed. 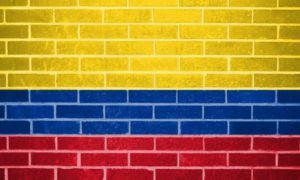 In the matter of the key building materials the Colombian civil construction industry is much more like the central and south European countries than North or Central America, which have few families of fired clay products. The climatic zones vary from arid to tropical to high mountain, all of them fairly populated and urbanized, except for the rain-forest area. 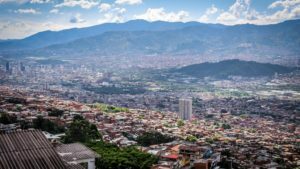 Their capital, Bogotá, lies at a height of 2700m and Medellín, the second biggest city, is mostly above 1700m, although the many brick plants surrounding it are at higher level. However, they differ from their European counterparts in the size of the industrial plants, as most of them are under 200 ton per day, with a handful of exceptions. Another peculiarity is that the plants are multi-product, that is they produce 4 or 5 totally different “families” of product in the same manufacturing line, which is neither without merit nor difficulty. The majority of the brick plants, especially if using imported equipment, are using Verdés machines in their clay preparation, as this company was the main technology supplier since the early sixties, when the process of change from hand-molded to mechanized operation took form. In those days the usual drying after extrusion was natural and the kilns were “pampas” (a variety of scotch-kiln), “morunos” (bottle-shaped) or downdraft “beehives”. In the following decades the Verdes brand has continued to be the preferred companion for the slow modernization process carried out by small and medium family-owned companies. Nowadays the relevant plants are using artificial dryers and tunnel-kilns (locally designed or with imported technology and equipment) or else forklift-loaded modernized Hoffmanns. In the main production areas over most of the country good quality coals are being used. As the concentration process or the investment by foreign brick makers hasn’t even started, each company owns only 1 or 2 plants. With a positive economic scenario in the last few years, the smaller plants are also updating their thermal processes and introducing some degree of automatic handling. In this context, a new player has appeared in the Medellin sector, one of the 2 big brick clusters. 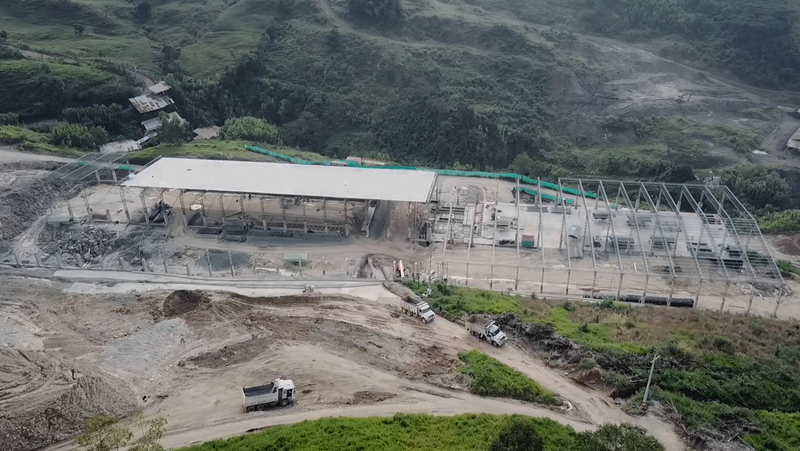 Terras de San Marino is putting up there from scratch a complete new brick plant. Notwithstanding fierce and stubborn European competition Verdes was again awarded the complete clay preparation line in early spring and the contract came into force in May. 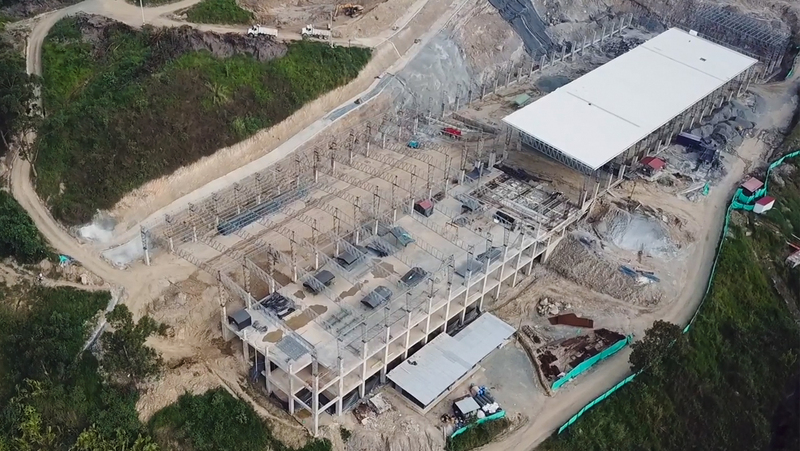 During the project definition, this clay preparation and extrusion line was designed with a dry grinding line, for which Verdes is world-recognized, as well as for their semi-wet grinding systems. In this instance it was due to the exacting specifications and the fair face required of some of the products. Also the considerable number of raw materials and additives to be used with maximum flexibility was taken in consideration in the discussions with Terras. The clay preparation line is dimensioned to process 140,000 ton/year. Adapting the process to the local industrial mentality, the plant is designed to produce clinker and facing bricks, as well as horizontal and vertically perforated blocks, large-sized partition pieces and others. Ranging from 2 to 18 kg per piece, it is a challenge to achieve full automation. This, together with the plant size, will create quite some stir in the region. 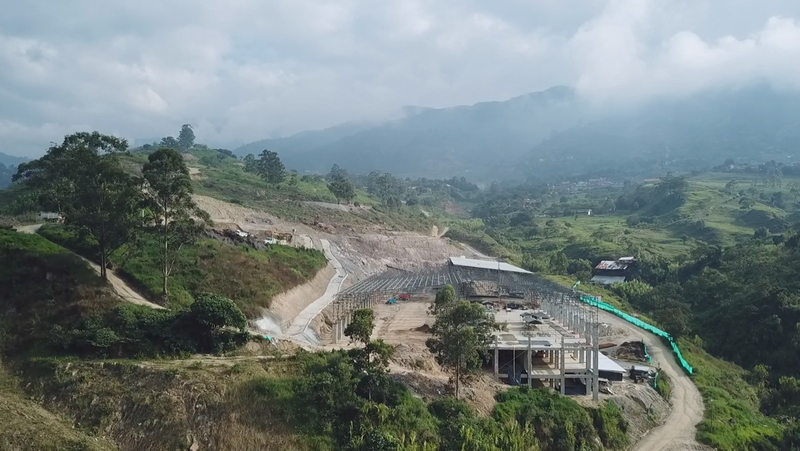 Being Terras a dynamic company, preparation of the site, earth movements and access roads are finished and the construction of the industrial buildings is progressing also speedily. Delivery of the machines will be taking place in the next few months.